So work on the red strat has commenced. 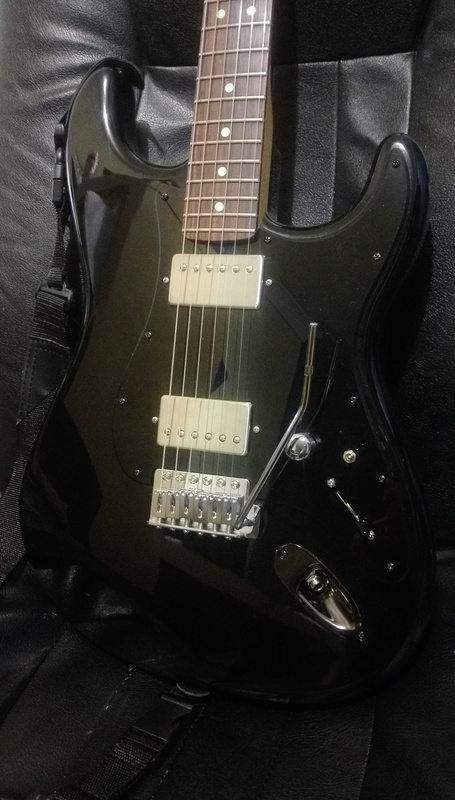 There’s really nothing much different to the black strat build, after all, both guitars are stratocasters with aftermarket components, and they have much similarities in terms of components, in fact, aside from the pickups and the circuit, they are exacly the same guitar. Something I noticed while polishing the fingerboard, is that the frets are not in as good condition as the black strat, and might be time of doing a fret redress. I’ll finish this project and then I’ll send the guitar to have the frets done. If the work is good I’ll then send my MIA Stratocaster plus, as that certainly is in need of some fret love. The next step would be to do the wiring, but I’m still waiting on the potentiometers, the capacitor and of course the pickups. 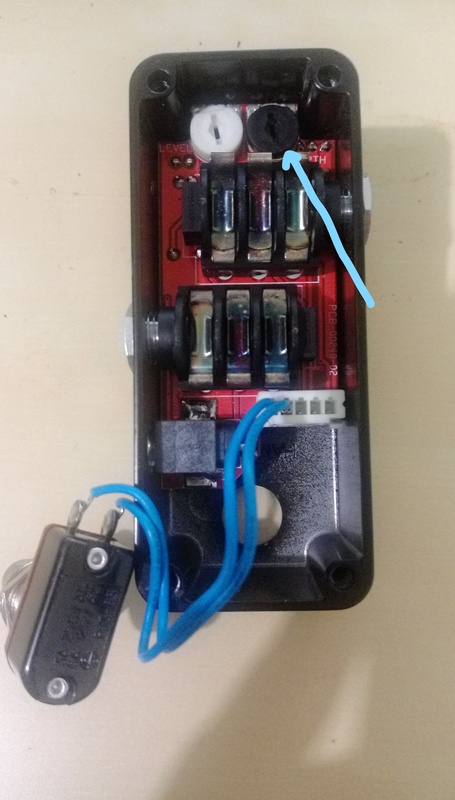 Again there are no plans of adding a treble bleed, and whether to add a blower switch. This entry was posted in Electronics, Red Strat on October 28, 2017 by Andres Munoz. All components are already on the guitar or have been ordered. Oh, I have also ordered a cheap chinese 1Ply pickguard. The idea is to use it as a testing for ageing. I’ll be using shoe shine to do this. if it works and looks good then I’ll apply the same method on the pickguard. 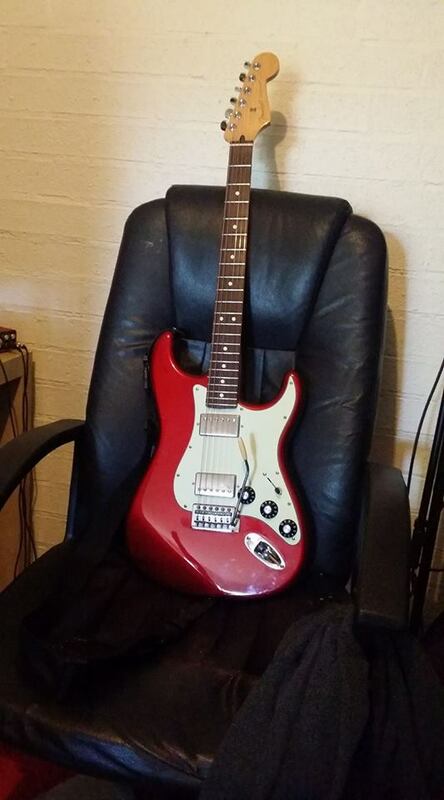 It is funny though, I have a 30 year old guitar, and the pickguard still looks white…. has lots of scratches, but still white. 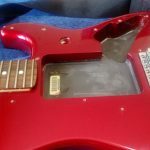 This entry was posted in Electronics, Hardware, Red Strat and tagged guitar modification, Partscaster, Stratocaster on October 28, 2017 by Andres Munoz. Beware: modify the pedal at your own risk. I take no responsibility for any damage that might occur to your beloved tremolo pedal. Ok. Disclaimers are done, and you decided to continue reading. Grab some tea/coffee, have a good read, and when ready, have a go. 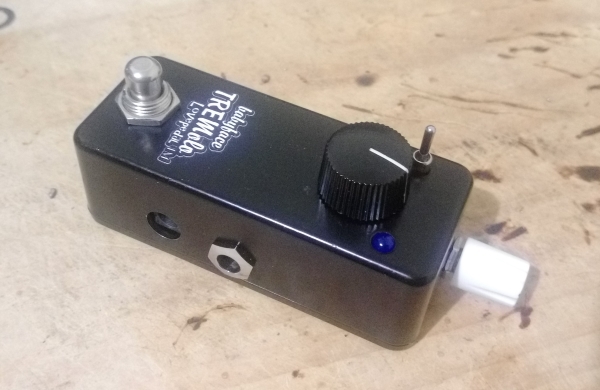 I won’t write up about how good this tremolo is, this video is a better review than any write up I could put together. To get the unit up to scratch would require to have the depth control easily adjustable externally. I found a couple of sites (here and here) that make mention to the desired mod but did not provide further details, so it was time to change that. Step Zero – what are we doing then? 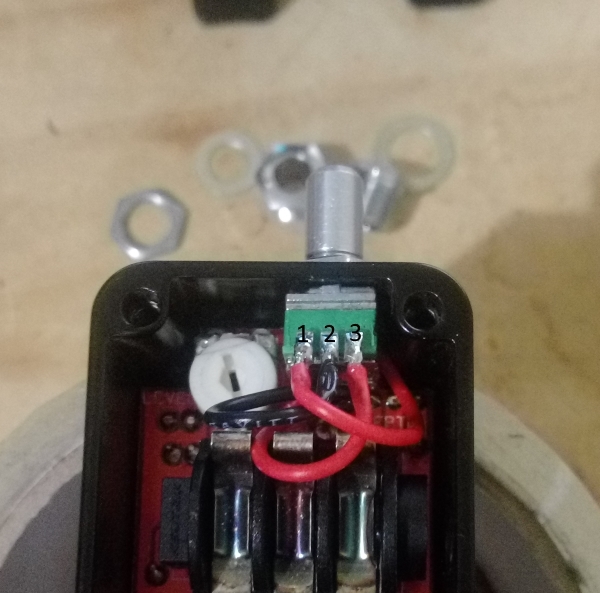 With the the Babyface tremolo open, placing the footswitch at the bottom (see image below), there are two trimmer pots, one white on the left (level) and one black on the right (depth), which is the one we want to replace by an external pot. 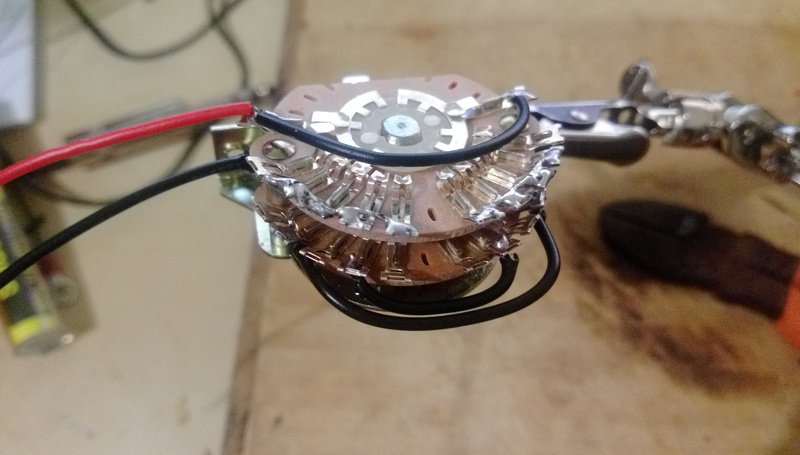 This is a CTS 262UR253A trimmer potentiometer, which translates into a 25KΩ CTS 10mm Carbon Trimmer Potentiometer. wire, solder, soldering iron, drill bits and luck. I bought all my parts from Bitsbox in the UK… cost including shipping to Australia was still cheaper than buying local, and by a long way. Make sure you put all your knobs, metal rings, screws and covers in a container where they are kept safe while you are doing the mod. It will make the assembly a lot easier later on. This is kind of the point of no return. Yes, you can solder the trimmer pot back, but if you are here, it means you are pretty committed to do the mod. Note: make sure you have the appropriate soldering iron for the job. 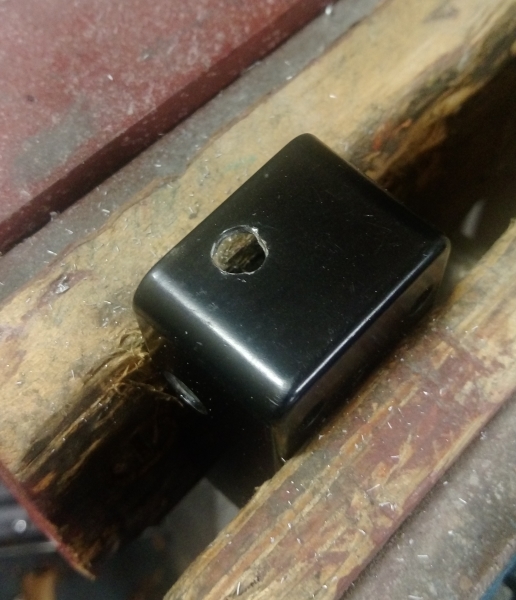 I didn’t and the job was made unnecessarily more difficult because my soldering iron did not have the right tip (the pointy/narrower the better). The same applies for your solder removal tool. Be careful and remove the right (black) trim pot only. you should end up with something like this (please ignore the soldered wires for now), more on that in a minute. 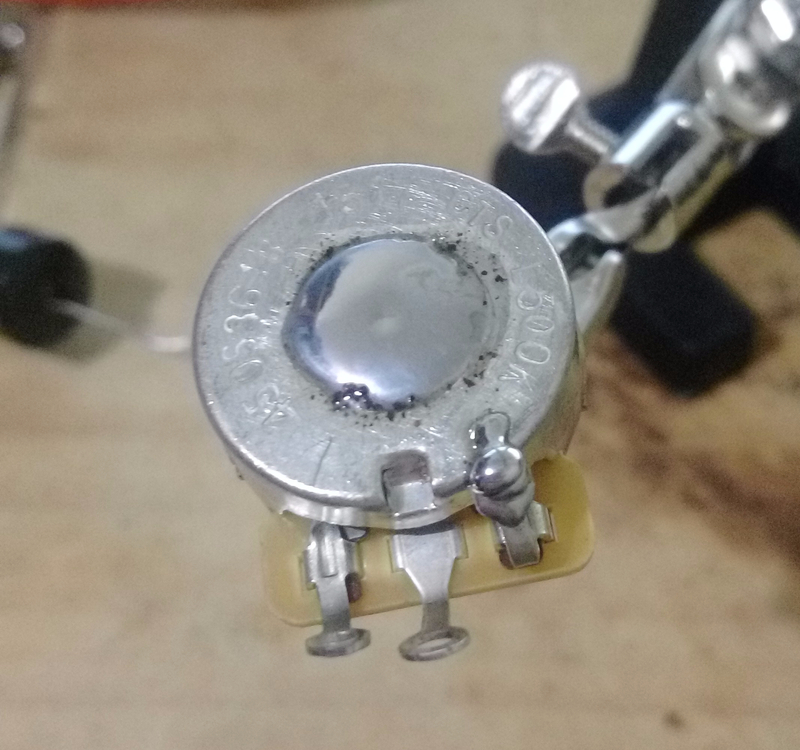 Now it would be a good time to solder your wires, as you won’t have room for maneuver once the new potentiometer is in. 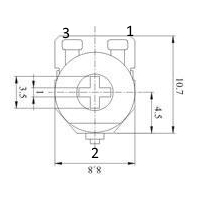 The ilustration below is the diagram for the original trimpot. I have purposedly placed it upsidedown for your easy of reference when soldering the wires and the potentiometer. Note the bigger numbers 1,2,3. we will match these to the new potentiometer later. So, as per the diagram above, here’s how this translates onto the circuit board, and where you’ll solder your wires. This is probably the easiest of all the steps, but here’s where I ran into trouble, so you might want to do things differently. There are only two physical locations where the pot can be placed. 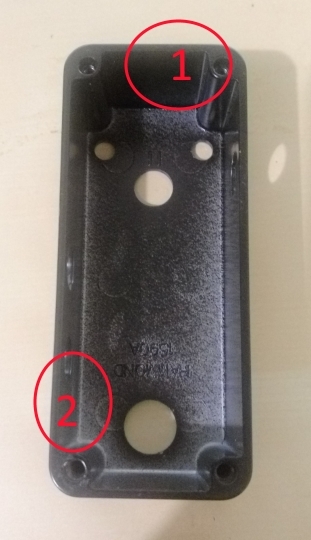 These are marked as locations 1 and 2 on the picture below. This is not an order of prefference (it was for me) but its only so we can identify the location. I chose location 1. I think location 1 makes more sense from a usability point of view as its less likely to mess around with your pedalboard cables. Locaion 1 however, is considerably more difficult to work with. 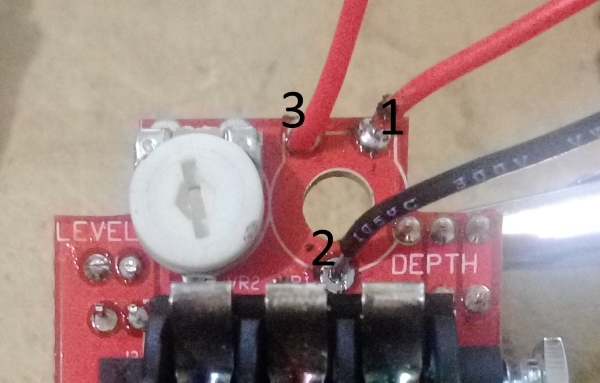 You will want to measure where to place the potentiometer with the PCB and all components in. 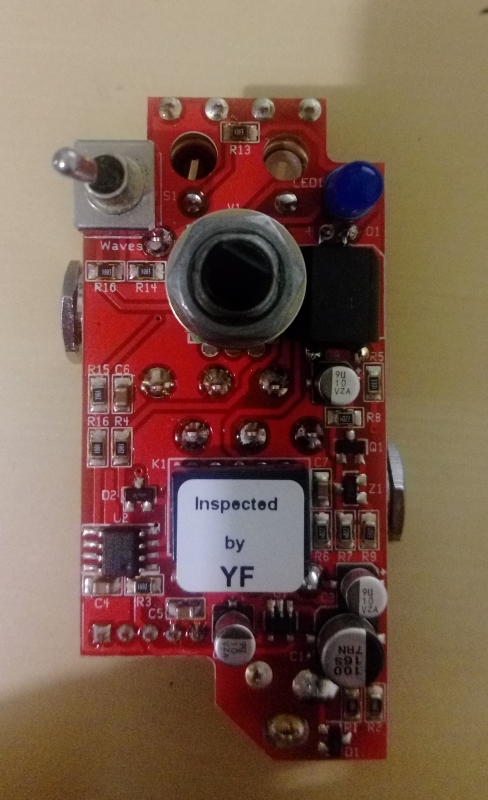 The final location for you will depend on the size of the potentiometer you got and how comfortably you feel doing this work. Also, if you plan to make any future mods, you might want to select location 2. IF you selected location 1 just like I did, then good luck to you! This is what I did. 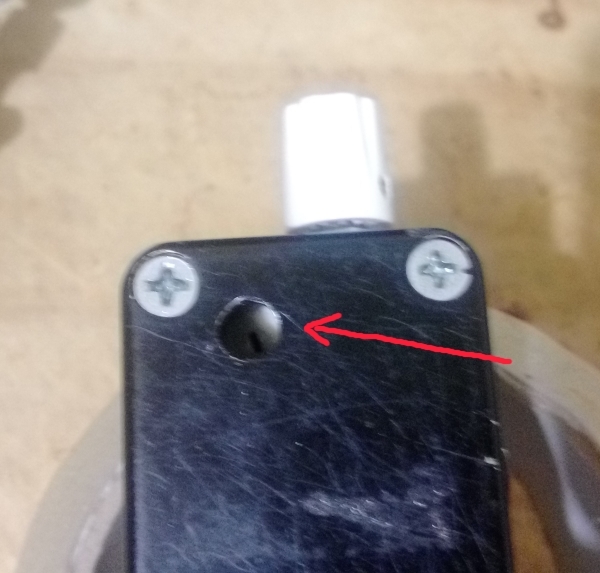 The new 25K potentiometer required a 7mm hole on the enclosure for the potentiomenter shaft. 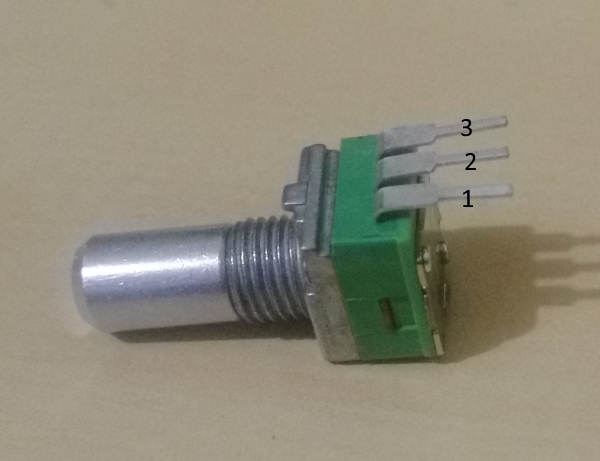 This is not enough given the position of the potentiometer, as you will need to slide in the potentiometer, and then pivot it to place the PCB. 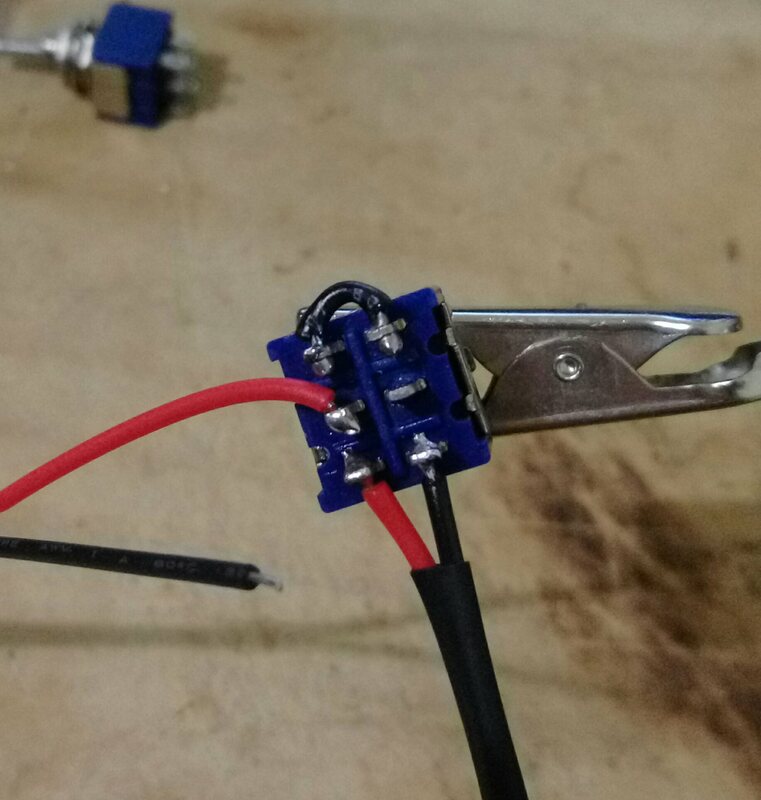 I could not place the PCB and then put the potentiometer… but that was me, you might find a better way to do this. Just keep in mind, you might need to drill an 8mm hole, as it will make your life easer. So back to drilling the enclosure. I’d sugest you place the enclosure in a vise and use some other material to protect it. also if have access to one, use a step drill bit. It will make the drilling a lot easier. Once the enclosure is drilled and we have worked out how to put the whole thing together, its time to solder in the new potentiometer. The trick here is how to wire it. 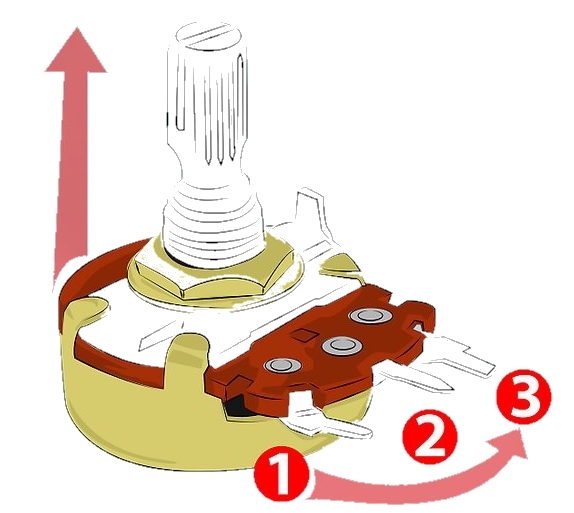 The ilustration below presents a more familiar view of a guitar potentiometer, and the appropriate pin numbering. 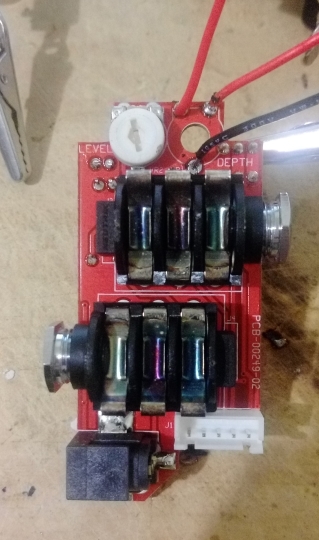 All that is left now is to position the components on its final location, adjust but not tight all nuts, as this will help keep things in place, and then solder the wires to the right pins on the potentiometer, that is one to one, two to two and three to three. And that’s it. That’s the mod done. 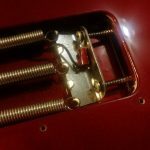 Step Five – You are done, test your new tremolo. 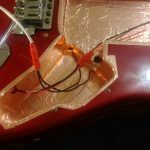 Before closign the tremolo, make sure you test it.Once the enclosure is drilled and we have worked out how to put the whole thing. 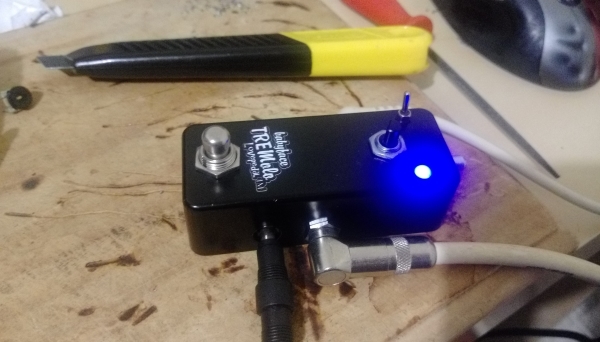 The tremolo should work and sound as it did before, but now the efect depth is controlled by the external potentiometer. Aren’t you glad you did this? As you still haven’t closed your tremolo (I hope), why not make the level trimmer pot accessible? All you have to do is to drill a hole in the back cover, make sure is big enough to allow a small screwdriver in. This will allow you to setup the overall efect/boost level. As this is something you would not adjust often, but maybe during sound check or when setting your pedal board you don’t need to have it as easily accessible as the depth control. 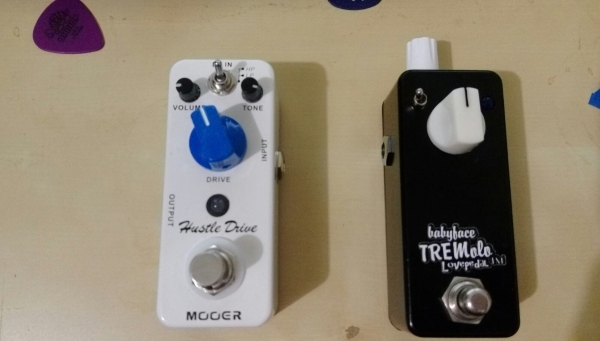 This entry was posted in Electronics, Mods and tagged Babyface, Lovepedal, pedal mod, Tremolo on September 24, 2017 by Andres Munoz. … in terms of progress. I know I have writen “Be patient” on the lessons page, but that does not mean to be iddle. 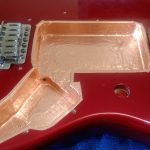 While I wait for the remaining parts to arrive (Neck pickup, pickguard and copper tape), I decided to solder and prepare as many components as possible. 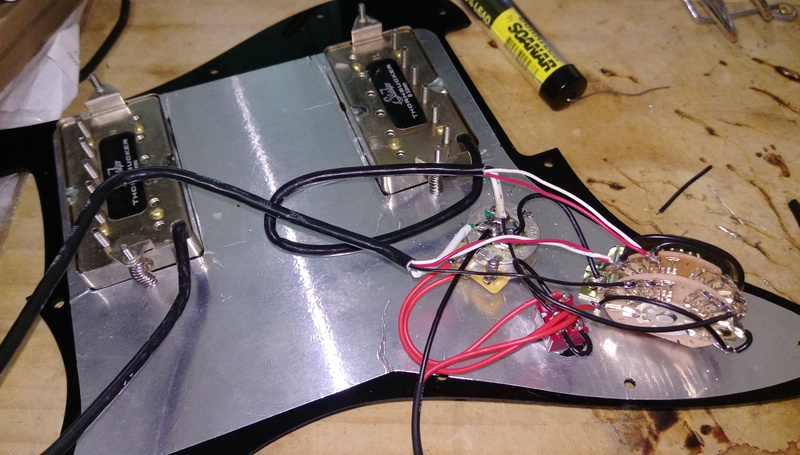 Also decided not to wire the components between them until I have the pickguard to mount them, in order to reduce the cable lenghts where it makes sense so the resulting guitar wiring does not look like an spaguetti bowl. Next was the blower switch. Red cable on the left of the picture goes to the tip in the output jack. 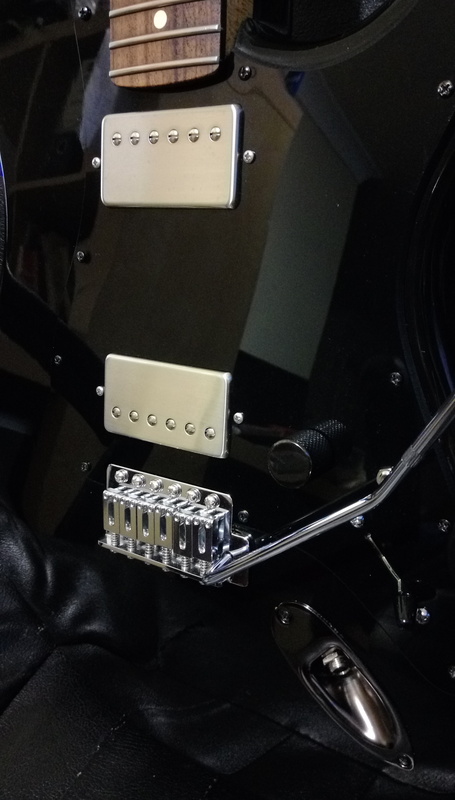 The bridge pickup hot (black) is to be connected to the free connector. Also decided to redo the jack connection because I want the guitar to be as quiet as posible (noise wise), so the jack connection is now a twisted pair. this is the only part that won’t be inside the main cavity which will be shielded with copper tape. Neck and bridge pickup to the super switch and blower switch (Bridge). Switch “hot” to and out of the volume to the blower switch. 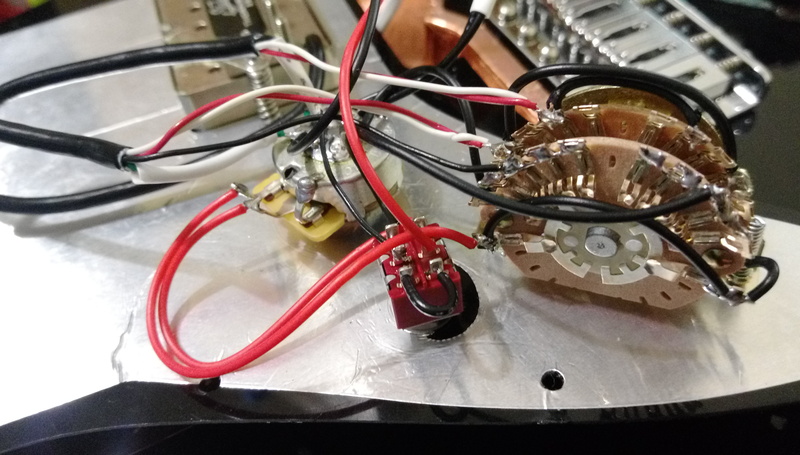 This entry was posted in Black Strat, Electronics and tagged CTS 500K Linear, Fender 4P5T, Suhr Blower Switch, Super switch, Wiring Diagram on June 15, 2017 by Andres Munoz.